My heart goes out to the Tompkins family and I wish them well. I remember hearing about William Tompkins about 2 years ago. His testimony correlated with a lot of what Corey Goode was sharing about. That’s how he got my attention; I read his book and found his story fascinating. If even half what what he wrote is True; then we have a lot to learn. Not only that; the book really helped me grasp what kind of person he was. I very much enjoyed reading Selected By Extraterrestrials. He mixed in facts and personal stories rather well. What I found particularly entertaining was his comments about how he thought his secretary was a Nordic. Now I heard through the grapevine that Maria Osric was in fact that nordic. Whether or not that is true; I don’t know. Let’s preserve the memory of Tompkins; for who he was and how he assisted in this great awakening. I shall remember Tompkins as a brave man who was willing to share what he knew about Extraterrestrials so that we could know the Truth. Because the Truth WILL set you free. I have just learned that William Milton Tompkins passed away early this morning at around 2 am Pacific Time in San Diego, California. Bill’s transition on this day of a full solar eclipse across the USA is yet another remarkable synchronicity in a long and productive life. In addition to working for decades with the US Navy, leading aerospace corporations, and Navy support organizations with multiple achievements, Bill decided to cap his remarkable life with his insider testimony about the Navy’s secret space program. It’s hard to believe that in the short space of less than two years, from the December 2015 publication of his book, Selected by Extraterrestrials, Bill has electrified the UFO/exopolitics community with his incredible testimony about the Navy’s secret development of space battle groups with the assistance of major aerospace companies beginning with Douglas Aircraft. Dr Bob Wood told me that the second volume of Bill’s autobiography is currently with editors and the plan is to still move forward with publication. Bill’s transition today means that he will be aiding all dedicated to full disclosure from the other side of the veil, and will be sending his sweet energy and humor to aid all us in this planetary transition. I plan to write a more detailed article about Bill’s accomplishments in the next day or so with more information about upcoming events to honor Bill’s life and achievements. Those wanting to learn more about Bill’s secret space program testimony can visit the following page which lists most of the articles, radio interviews and videos about him. Bill’s friends and I will miss him greatly, and we look forward to his continuing help from the other side. We saw Bill and Mary Friday afternoon because Mary came to Oceanside to get her hair done, and they decided to come visit with Lynda and me since they were halfway here. Bill brought some of his weekly calendars from 1968 onward and we had a nice chat. He seemed fine, and drove home after a nice visit. On Sunday I got an email from Bill’s son Dean saying that on Saturday he had a “brain bleed and is expected to pass away soon.” He was on his way to Southern California. Later Sunday I talked to Mary who said he had fallen twice, and didn’t respond the second time so they called an ambulance. He was taken to Scripps La Jolla where they concluded, according to Mary, it was a “blood tumor” in the brain and was inoperable. This morning I got a call from one of his nieces, saying he passed at 2 AM this morning, and that they would let me know when and where there will be a service. I’m sort of in shock because it was so sudden. Mary will continue to receive the proceeds from Bill book sales. I am planning to continue with Book 2 without Bill’s final proofreading. I will let everyone interested know as soon as I learn of the time and place for a memorial service. 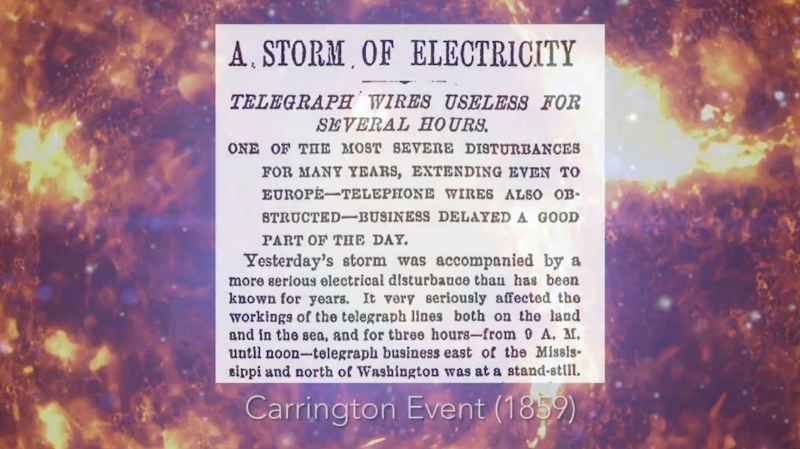 Posted in Exopolitics, The Event, Timothy Frappier, William Tompkins. “That our planet has been a battleground for warring extraterrestrial cultures for thousands of years. The result has been wars, destruction and attempts to hinder our progress. Recently there has been a great spike in technical innovation due to help from friendly aliens. He believes that perhaps he and many other uniquely talented people have been gifted with skills that more closely reflect what human intelligence is capable of when not held back by outside forces. 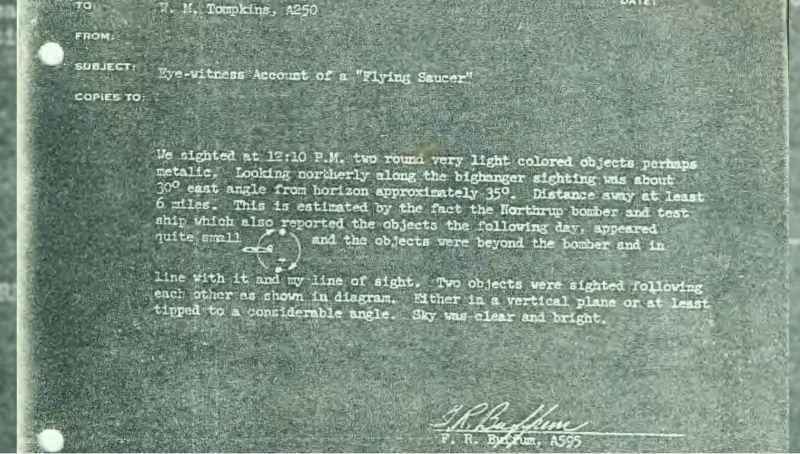 Regardless of your opinion of the UFO phenomenon, Mr. Tompkins has taken on this subject with energy and claims we have eight cylinder shaped craft 600 feet long carrying smaller fighting craft”. With the amount of unusual crafts seen around the planet and out in space could it be that our worlds leaders have the technology at their hands in order to possibly defend earth from Alien Beings or to explore deep space? This may once have been mocked, but not now, it is time that we open our eyes to the lies and deceit from the Elite who do not want to lose the control over us! In recent times, many people have come forward saying that there’s more to NASA and space than we have ever been told. But are these just empty claims? Or is there something more to it? 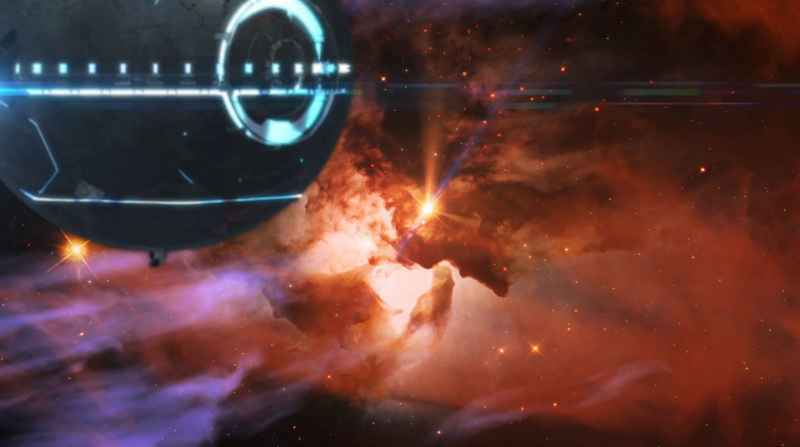 According to hackers, government officials and even former military personnel, there could be a ‘shadowy government’ that operates a ‘secret space fleet’ society knows nothing about. One of the greatest military computer hacks of all time occurred when high-profile hacker Gary McKinnon managed to break into top secret files from the US Navy and NASA. McKinnon who is a UFO fanatic is also a computer expert who apparently found out some pretty weird stuff going on in space. McKinnon managed to break into secret USA files discovering that the government has operational ‘War Ships’ in space. McKinnon faced a huge legal battle in the UK. During the famous interview with RichPlanet TV, McKinnon spoke out in great depth about what exactly he found when he got through and into US Navy and NASA computers. Building number eight at the Johnson Space Center is where people actually work on airbrushing UFOs from images obtained in space since UFOs are commonly photographed by NASA. 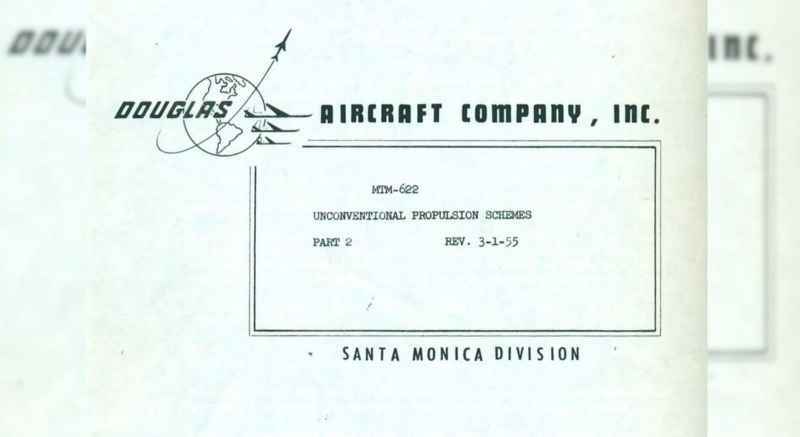 As he hacked NASA computers, he found a US Navy spreadsheet called ‘Non-Terrestrial Officers.’ While McKinnon admits that these words ‘can be interpreted in numerous ways’, given the name, one thing is sure, and that is that these ‘officers’ are not based on Earth. Also, McKinnon claims to have found around 25 rows of details of officers’ ranks, names and ships accordingly. McKinnon argues that the ‘secret space fleet’ has WARSHIPS with prefix USS, just like all vessels belonging to the USA. In addition to the above, McKinnon claims to have found evidence of “material transfer between ships” (whatever that is), and that there are up to ten ships. McKinnon states that all of the above is evidence that the American government has warships in space. This ‘flotilla’ is fully operational and is kept far away from society. But are these just empty claims of a man trying to make a name for himself? Many say yes, but there is plenty of evidence which points towards something like this being entirely possible. 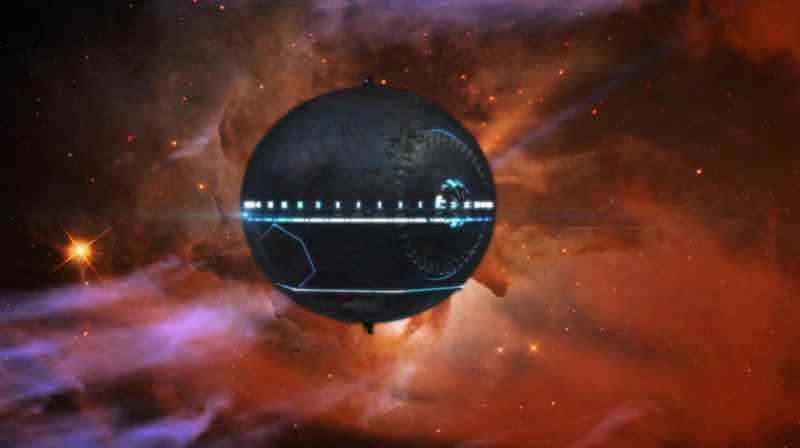 Could this ‘shadowy government’ be behind the mystery war ships operational in space? 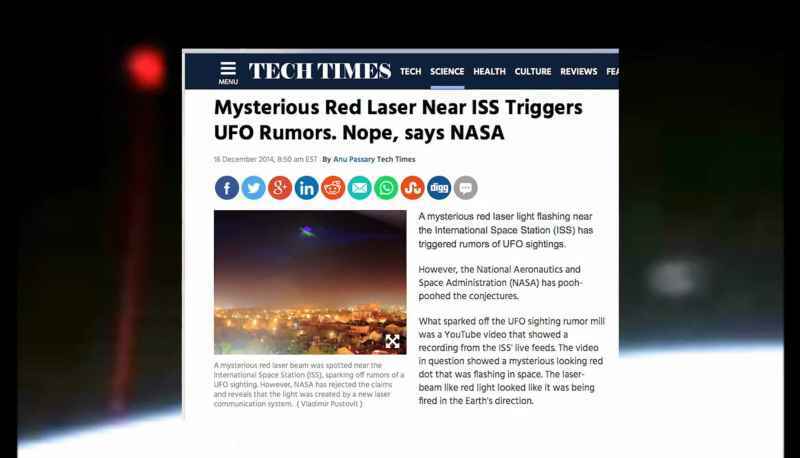 In the last couple of years, numerous individuals have come forward saying there’s more to NASA, spacecraft, and technology than we as a society are aware of. Retired Aerospace Engineer William Tompkins is another person who has something to say about secretive space fleets being operational. ‘Secret Space Program whistleblower Corey Goode’ also seems to corroborate the story from McKinnon and Tompkins. Homer, these are just some of the comments of people who know more than the rest of us, and no matter how much they are ridiculed every single day, they firmly stay behind their story. Many will jump to the conclusion that McKinnon is a liar. However, the interview –divided into four separate videos— seems to suggest the British hacker may have really been onto something. Many claim his story is surprisingly consistent. Check out the interview here and let us know what you think about McKinnon and his fascinating claims. Awesome article by my friend Jonathan Carty. He does an excellent job of connecting many dots and revealing a very positive message for humanity. I concur with Jon’s assessment because I’ve noticed many of these things as well. We’re seeing the Khazarian Mafia, Cabal or Illuminati(Whatever name you choose to call them) being exposed on all levels. Whistleblowers such as Corey Goode, William Tompkins and Aug Tellez have come forward revealing aspects of the Secret Space Program that we had no knowledge of. We’re being prepared for disclosure so that when it happens we wont be shocked. Many people will depend on us in the awakening community. It is up to us to maintain the peace and make sure people don’t panic. We must make sure that this transition happens smoothly and without so many problems. So be sure to be ready when the The Event. Here’s a article below that is a good outline on what we should do when the event occurs. It is becoming very obvious that we are on the brink of experiencing a grand event (The Event). I am following many sources very closely and spend most of my time researching current events and intel from various places on the web. If you are new to The Event and would like more information, I have summarized the whole situation in a post I wrote a little while back and have created documents to print and share with reliable links to the information. Now we heard from Cobra a while back that just before the planetary breakthrough, Turkey might have been the trigger for a short but intense military escalation,which did happen in July when the positive military there attempted to take over the government. This endeavor unfortunately failed and the post-coup consequences are still being felt. However, I want to bring attention to what was written which was about the breakthrough occurring after this attempted coup. We have also heard from Corey Goode’s information that there was going to be a big event that would get everyone’s attention. He mentioned that he wasn’t sure what it would be but an example would be something having to do with the financial system. Which is part of The Event but if we are following what’s going on with this year’s presidential election, it is anything but normal mudslinging..
Could the Alliance be using the election to deliver the truth to everyone? Is it very possible as the election concerns everyone of the world as, for the time being, the United States is a superpower and whatever happens here has big consequences in other countries and it is broadcast through almost all the mainstream media avenues. It is everywhere. So this would be a very opportune time to dump some damaging and incriminating evidence about the candidates, who are actually just pre-selected puppets by the Cabal. It is important to remember that the Alliance has to work in very intense secrecy so the Cabal does not interfere with their plans. But if you read between the lines in these events, you can spot them. We are seeing many commercials that feature extra-terrestrials, which is congruent with the intel that we are getting which is that there is a plan to roll out disclosure and condition society in order to be ready for when the big D happens, the big D of course, for those that don’t have a dirty mind, is Disclosure and The Event. Then we have a big announcement on October 12th which was featured on The Guardian about a breakaway civilization called Asgardia. The founder Igor Ashurbeyli and a team of top scientists have asked humanity to join this new society by signing up through the website. They originally asked for 100k people but at the time of this writing the number is up to 336,472. “In only 40 hours since I have announced the birth of the new space nation Asgardia one hundred thousand people from more than two hundred countries on Earth have applied to join. And 4 days later we are already more than 300 000 people. I would like to welcome and thank you personally. 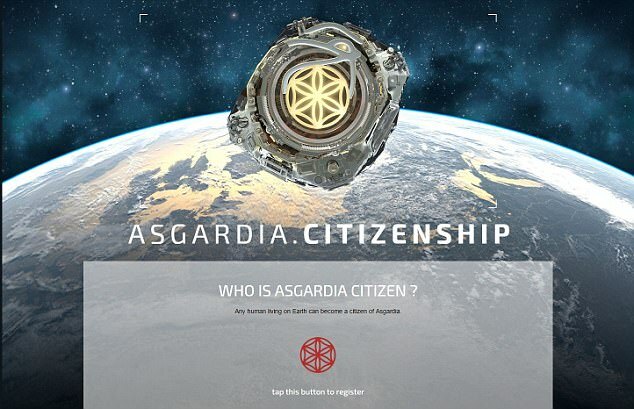 Now I would like to go into this in more detail, especially about the name, Asgardia. When I read this name I got so excited! 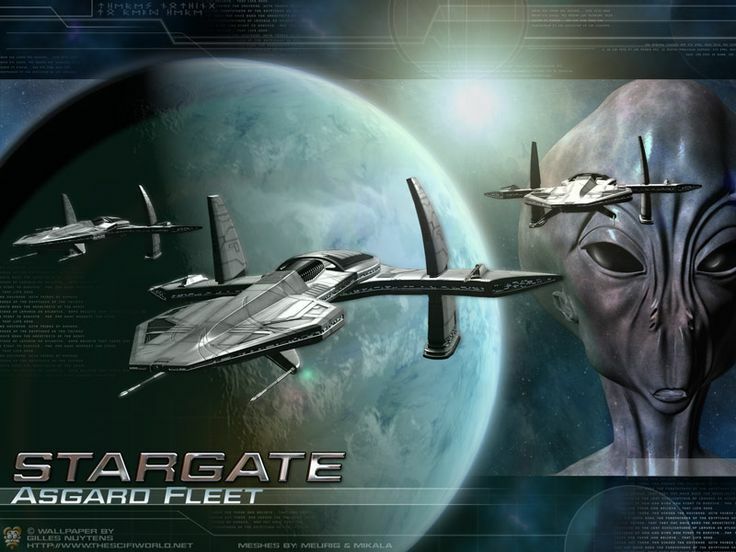 In the television show Stargate SG-1 the team meets a race of beings called the Asgard. They were responsible for the stories that we know of involving the viking, Thor. The being that the SG-1 team would have continuing encounters with was named Thor. The Asgard are a race of extremely advanced and benevolent beings which look like what we know as the Greys. We have heard from whistle-blowers like Corey Goode that shows like Stargate SG-1 had a lot of leaked information and intel in it. This is one validation of this. What we are hearing from sources like Cobra, Corey Goode and David Wilcock, is that there is going to be a grand solar event that changes our reality on a quantum level. In David’s research he discusses how over 30 different ancient cultures and texts talk about this event which is suppose to happen in the time that we are in right now. It is positive but what we hear from Corey is that the Cabal is afraid of it and has different ideas as to what it will do but they don’t want to be around when it happens which is why we are getting reports that the Cabal is pouring into their underground bunkers and bases in Antarctica. Now on to the financial front of things. Cobra has already relayed to us in previous interviews that nothing very big would be happening until the The Event happens in regards to the financial system. If we follow what’s going on though, we can see that there is an obvious amount of panic and extreme distress among those working with big banks and in the stock market. We keep hearing over and over “it’s gonna crash, anytime now!” The reason they are saying this is because one of the biggest banks in the world in Germany, Deutsche Bank, which, I might add, is supposedly the most economically responsible country in Europe, is experiencing a total meltdown and collapse. As the saying goes, if Europe sneezes, the U.S. gets a cold. And this applies to the financial system. Deutsche Bank has hundreds of trillions of dollars worth of bad derivatives AKA bets, mostly in oil, and all it would take is for a certain amount of people to stop paying their debts and the entire system would collapse. At least, this is my understanding of how the financial system works. Since we are in a global great depression, this is exactly what’s happening. No one has any money, everyone is broke. Recently Deutsche Bank made big headlines as they have been ordered by the Department of Justice to pay a 14 billion dollar fine which resulted in the stocks taking a dive, yet again. The CEO of course is saying that the bank is fine and that they don’t need a bail-out. Of course, the German chancellor and allegedly Hitler’s daughter Angela Merkel has publicly announced there will be no bail-out for DB. The bank really needs a bail-out and is probably doing much worse than is being admitted but the German government cannot possibly do this or they would look absolutely hypocritical as they forced Greece to pay back their debts to them during their crisis, which is actually still on-going. Deutsche Bank has also recently announced it will be firing 10,000 workers in the coming years, but don’t worry, everything is juuuust fine. It appears that the financial crash we are currently watching in real time is actually being guided and will continue until the final breakthrough. This is what we are hearing from various sources. There is nothing to fear as everything that is happening here is being overseen and watched by very high density beings. Now into Geopolitics. The anti-Russian news stories being put out by the mainstream media has gotten exponentially worse and with more hate than ever before. WWIII is playing out as we speak in Syria through proxy mercenary armies and the Cabal is losing miserably with Russia and its galactic advisers working tirelessly to finish them off and the Cabal trying to take the whole world down with them. The Cabal doesn’t know what to do with itself in Syria since Russia showed up. The U.S. recently broke off all diplomatic ties with them in a poor attempt to paint Russia as the aggressor, but as usual, Putin and his right-hand man Lavrov handled everything very diplomatically and carefully. Hilariously, John Kerry has now decided to restore ties with Russia and began talks about Syria. So this is it everyone, the last stretch before duality ends forever in the Universe. We are watching it happen right now in real time. We all have front row seats to the spectacle of all spectacles. There is nothing to be afraid of. We are about to be free and I have provided much evidence to this conclusion. The Cabal is desperate as we can see by their actions on the world stage. It’s not over yet but we are closer than we have ever been. Thanks for reading and much love as always! Victory of the Light! David Wilcock: All right, welcome back to “Cosmic Disclosure”. I’m your host,David Wilcock. I’m here with Corey Goode. And in this episode, we have another round of incredible disclosures from William Tompkins, our 94-year-old aerospace engineer. So without further ado, let’s check out what Tompkins has to say. It is going to rock you. Take a look. William Tompkins: As far as our situation now today, It’s been accepted that we have a number of different vehicles, which are actually planets that are hollow, that move through the galaxy to monitor good guys and bad guys, wars and no wars, people taking advantage of other people on different stars’ planets, and that, as of about a year and a half ago, one of these parked just outside of the solar system. And it’s parked out there, monitoring what’s been going on here since the Romans, since way before the Romans. They have blocked the extraterrestrials who are here, are underground in the caverns, from leaving, and they’re not allowing their buddies to come in. I understand that there’s two goals. One of them is to nullify the problem with the Sun. The Sun is alive. Okay? Stars are alive. I think it’s a hard time accepting this. And they have moods. And essentially, we have to go back to the . . . I’m not making this complicated, but we have to go back to the center of the galaxy. 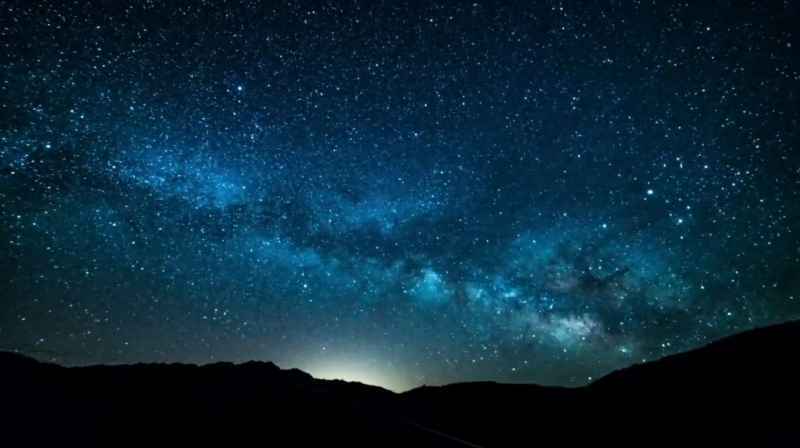 And there’s not too many stars in our galaxy compared to a lot of really big ones, but all of the stars are affected in some way by the Sun. So there’s this group of people, whatever you want to call them, who are attempting to primarily nullify the effects to a region, which is not just like the solar system or our star’s system, but do this as a business so that the levels of catastrophes, things that cause dangers to the people and to the planet, are less. So we can be easily affected. Our attitudes, our daily attitudes, can be changed. We can end up being a really good Republican, and for some reason we’re going to change over and be the other guy. The beings that are in that sphere, they’re not agreeing with the Sun. That’s just one thing they’re not agreeing with. They’re very concerned about Reptilians implementing situations which are not tolerable in their way of life, and that this needs to be corrected. David Wilcock: All right. Well, that was very, very interesting stuff here – just so many correlations popping out all over the place. I don’t even know where to begin. David: He starts out by talking about planet-sized objects, that it’s now considered a common fact on the inside track there that there are various extraterrestrial species going around and, he said, monitoring other solar systems with these planet-sized objects. What do you think exactly they’re monitoring for? Corey: Apparently, there are groups that go from star to star, or star cluster to a star cluster even throughout the galaxy, that are monitoring the progress of different worlds, and they also monitor to see if there’s any intervention occurring from outside groups, which . . . it would kind of be breaking like the “Star Trek” nonintervention . . .
David: So he mentioned that these planet-sized objects are also looking to see if there’s a war, if something unfair is taking place. So in certain cases, they might also take proactive steps to preserve that Prime Directive? Corey: Yes, but in a way that would not interfere openly with the inhabitants of a certain planet that they’re wanting to progress on its own. David: So then he seems to be saying that he believes that that’s happening here, that one of these spheres is taking proactive steps here. Corey: There’s been intelligence. And I think you reported on one, I think in the ’80s. One of your whistleblowers told you that one of these types of objects, a tangible sphere that was very large, came in and was cruising around the different planets. David: . . . and all kinds of ships coming out. And it was dark. You couldn’t really see too well inside when it opened, but it opened up like a circle. The intelligence I had was that the spheres that came in were these energetic spheres. So this could be different intel, or it could be intel that’s been passed down after going through several different sources, and then it’s kind of like the telephone game. There is a slight mishap in his wording that we need to talk about here, and that is that he mentions, first of all, a year and a half ago that one sphere showed up outside our solar system. But then he said that it’s been here since Roman times. 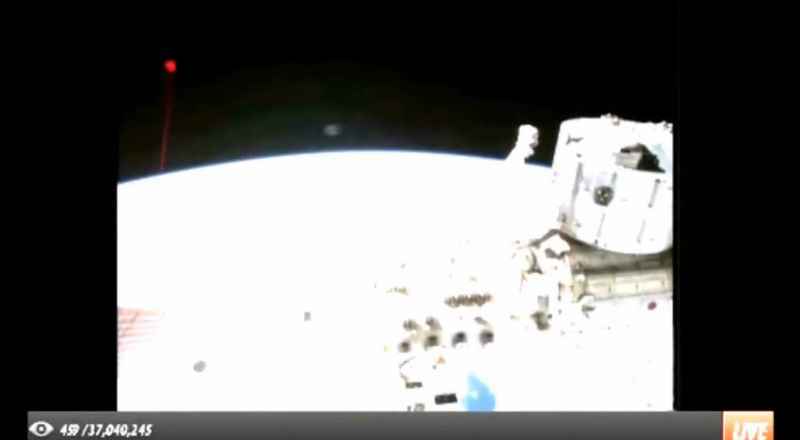 David: And as I’ve reported, the ISS caught a video of this. So they actually had to make an official denial. That’s how big this was. Corey: Yeah. It’s kind of a ridiculous one. Corey: Yes. On the level that these beings are, that is really of no consequence. Size . . . It doesn’t really matter. David: Now, given the fact that Tompkins was interviewed in the early summer of 2016, that’s this footage that we’re seeing, that’s a year and a half ago from the time that he was talking that this happened, December 2014. Corey: Yes, and that’s what leads me to believe that there was some crossover of some other intelligence above him as it was trickling down, because there were reports of these physical giant spheres that were coming and going, but during this time period, it was one giant energetic sphere that encapsulated our solar system to prevent people from coming and going. David: So perhaps that’s why he thought there was only one sphere? David: Wow! My role in this show is to ask you questions, but I just have to make a personal statement, which is it absolutely blows my mind that he has the date exactly the same of what you’ve been telling us, and he doesn’t have any access to you. Corey: . . . during the video. It’s really nice that someone’s validating it. And like I said before, I’ve been very shocked that this much of detailed information is coming through Tompkins. David: I think it might be hard for people watching this show to really understand how real all of this is. This is not entertainment. It’s not science fiction. And the things that have happened to you are percolating through the entire space program infrastructure. And I did see reports that stars and planets, they believed they were alive. But I didn’t see any information about the scientific part that was at the top of the briefing in the smart glass pad about stars being alive. David: Well, you’ve read enough of The Law of One to see that there’s a lot of crossover between The Law of One and what you experienced in the space program, correct? David: So that’s a nice point of correlation we have there. David: When he’s getting into this idea of the Sun sneezing, he seems to think that the beings in the sphere are working against the Sun, that they don’t like what the Sun is going to do. I’m not sure I agree with him on that particular point. What’s your thoughts? David: Now, I would imagine that if people were looking at this from a physical level, they may see it only as a catastrophe if they’re not understanding dimensional shift. Some of them just expect maybe a decade or two of having to rebuild our infrastructure that we will lose, and some of them expect it to be like an extinction-level event. So not everyone agrees on what’s going to happen, but they all agree that there is going to be some sort of a “solar sneeze”. David: Well, it, again, is just so remarkable that what he’s describing about what these spheres are doing is exactly what you’ve been telling us on this show. David: So they’re actually helping the Sun do what it’s doing, but do it maybe more precisely or at the right time. Corey: Right. They’re helping the Sun go through a transition. David: When he said that there are 2,000 extraterrestrials inside this sphere and that there’s different civilizations in there, how do you feel about that part of his statement? Corey: I didn’t hear that there were 2,000. I didn’t hear that precise information. Corey: Right. He may have been briefed on one of those crafts like you saw come in, or you were told that came in, in the ’80s. David: From what you’ve described before, it didn’t sound like these guys would be able to get that much specific information about who’s inside the sphere, since the spheres wouldn’t even talk to the SSP. Corey: Right. And like I said, when they first came in, they thought it was the return of the Sumerian gods. A lot of them were real excited. And since then, during the time period when they didn’t know who was in the spheres or what the spheres were for, they were probably speculating quite a bit. David: So another interesting thing that he said here was that these spheres had two purposes, that one of the purposes was to monitor the activity of the Sun, and this sneeze that’s going to happen, and that the other had to do with Reptilians, and making sure that they didn’t take too much advantage of us. Corey: It is very satisfying to hear someone who is credentialed and has had a background like Tompkins has had come out and validate what I’ve been saying. David: So he’s now saying a direct link between the spheres and the defeat of the Draco. David: So, again, it’s as if somebody is either watching our show and passing this to him, or this is real. It’s like you only really have two choices. Corey: Right. Right. And what you’ve said is exactly what I’ve been saying. The spheres have come here not to defeat the Reptilians, but to create an environment to where we can clean up our own mess. 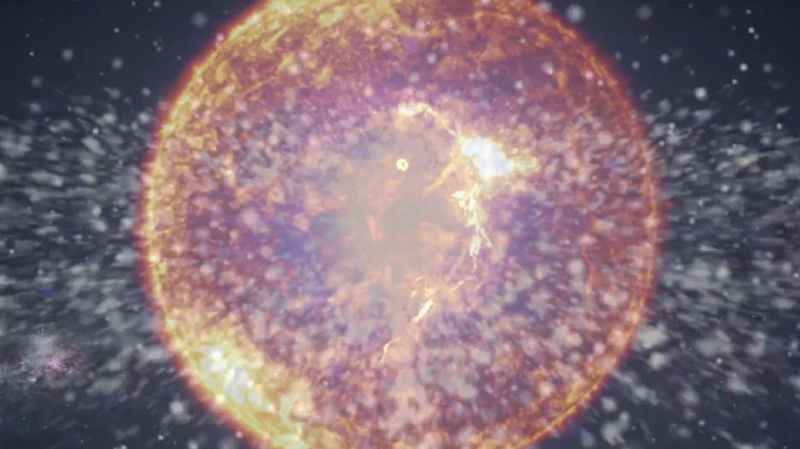 Corey: And they’re here to mitigate the explosive energies that are now and in the future will be coming from the Sun. So that’s right on the money. David: Next, we’re going to see Tompkins in a discussion about a think tank that he worked in, and a very humorous event involving an extraterrestrial craft. So let’s watch. William Tompkins: What was the main mission, and what did people do in this Douglas think tank? 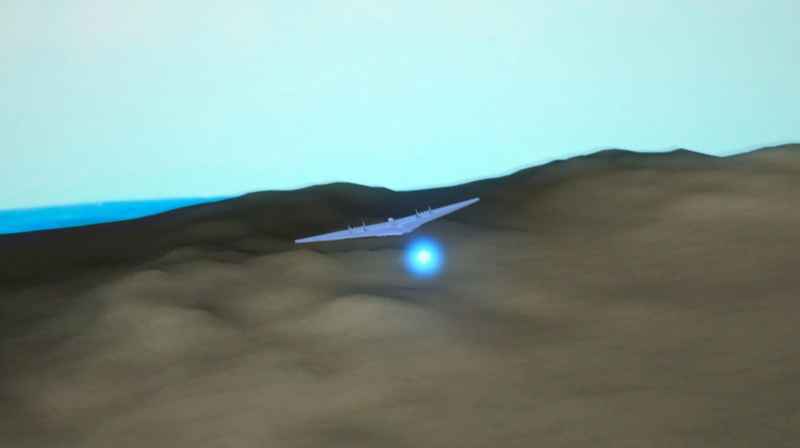 And one of the areas that was most important was a thing that they came out with and that’s “Unconventional Propulsion Schemes”. Oh, my gosh. So then I get stuck with all of the incoming mail that’s coming from the different associate organizations to Douglas. And some of the interesting things that come in is a group of people down at the beach, which is only a few blocks away, were out on Sunday afternoon, and one of the managers at Douglas, engineering managers, was there with his family. 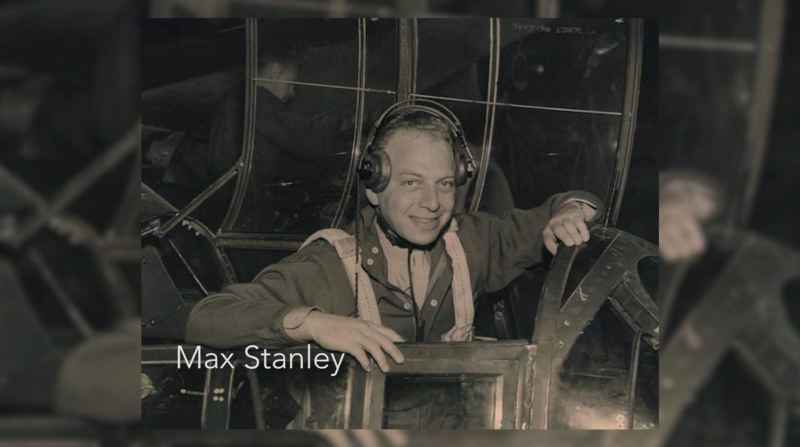 And so there’s a guy by the name of Max Stanley, who’s the chief test pilot for Northrop. 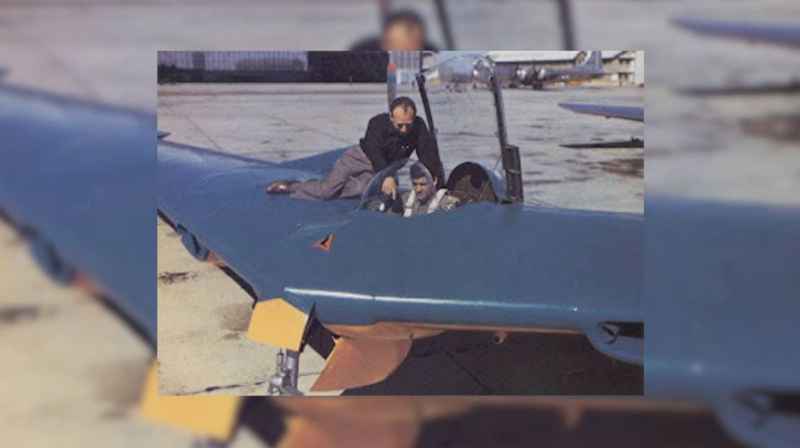 And they’re late on their flight schedules on the B-49 Flying Wing bomber. So it’s like 11:00, a beautiful day, and Max gets there, and he fires the thing up and he takes off, and the runway’s half what it should be because he pulls the fence down almost every time at the end of the runway. They lay the fence down now. Anyway, he flies south, turns out over the ocean, and now flies north like he’s going to go out to Edwards Air Force Base out in the desert. So, of course, that means he’s go to go up the beach, past the beach, at Santa Monica. 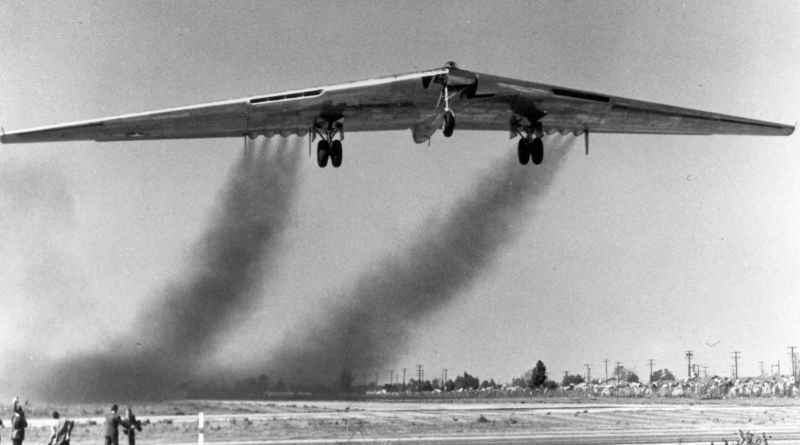 And a lot of people have seen the test flight flights going and coming. And he’s giving Max the finger. 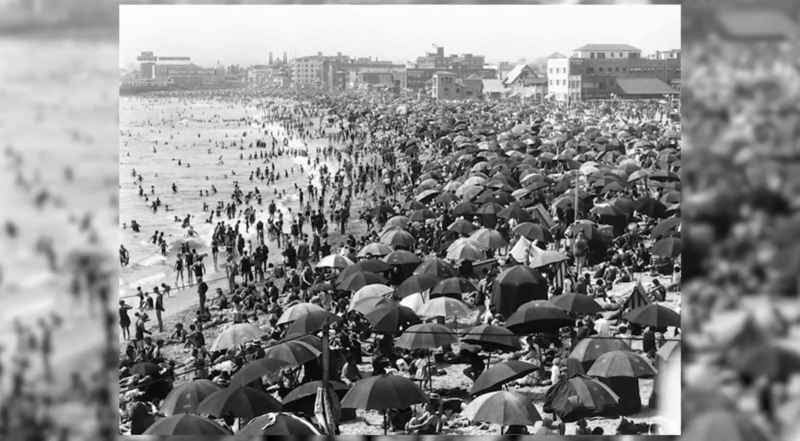 So he proceeds, in front of all these people – all the beach is full of people – he moves over in front of Max, so now Max has got him right . . . 10 feet from his windshield, okay? 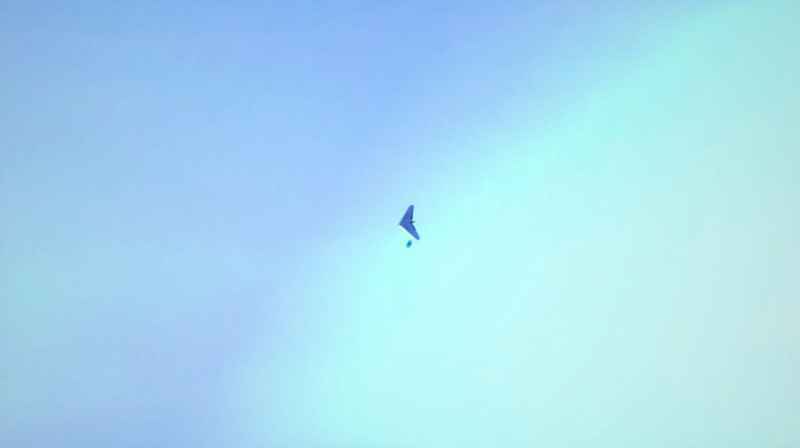 By now, everybody on the beach can see this going on because they’re only at 6,000 feet. And so then different people in the 200-man secret tank have different assignments from what’s in here. [Holding up the thick collection of documents] And that’s sort of the way that this thing operated. Corey: There were a lot that were just so mundane to go through that I just did not look at them. But there were . . . A lot of the time when you would pull up something on the smart glass pad, it would be documents from the ’40s, ’50s, ’60s, and it was just presented as . . . it looked like a document. David: So he mentions that the PM 624 document was investigating different types of propulsion systems for different needs that would evolve into the space program. It’s really amazing to get this kind of history. So what do you think those needs were that they were looking at? Corey: Well, it would depend. If there was a craft that was a resupply vessel, it’s not going to need to necessarily, unless it’s traveling with a carrier group, it’s not going to need to keep up with a lot of these vessels that travel interstellarly if they’re just going to work here in the solar system. So if they get their hands on some of those, yeah, they’re going to want to use that to maybe put that into their ICC program [Interplanetary Corporate Conglomerate] to where they have the newest, most advanced technology, and then disseminate some of that information to the other programs, or provide the technology to upgrade vessels that are already out there. David: Whereas if you have a guy who’s like a truck driver and he’s doing a shuttle bus or something, you don’t want him to have any extraordinary capability. David: If he tried to break away or something, you don’t want him to be able to escape. Corey: That’s what it sounded like to me. Corey: Yeah. Normally, I would say that this was one of the Secret Space Program pilots. They are a breed of their own. If you remember the “Top Gun” movies, how cocky and arrogant and self-assured these people are, multiply that times 100 because they’re the best of the best. They’re flying in space. They’re flying things that no one’s even allowed to know about. Corey: In 1955, I don’t think that they were that developed. This sounds like it could also possibly be one of the German breakaway vessels, because that’s during the time period when these German breakaway vessels were showing their selves. Corey: I’m sure there were. Most of the craft that I was privy to that the Germans had, they were using imaging systems that . . . the outside was totally solid and they could see 360 degrees and up and down from the inside through the imaging systems that they had on the outside of the craft. David: Hm. All right. 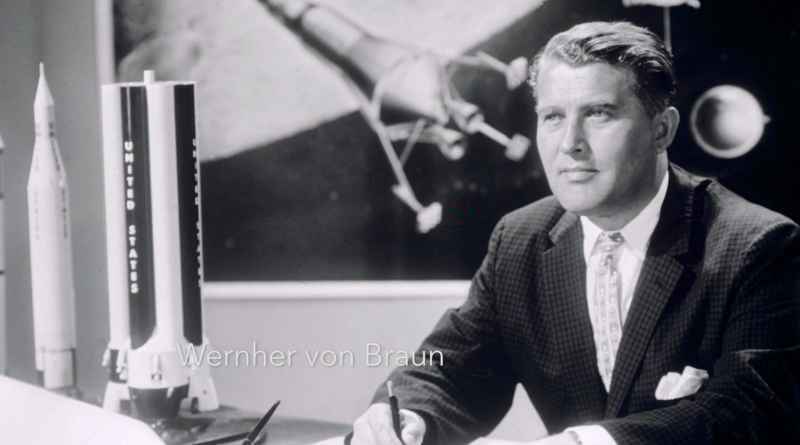 Well, now we have more of Tompkins’ amazing testimony regarding the legendary father of NASA, the German expatriate scientist, Wernher von Braun. Let’s take a look. Douglas was known for the surfers. 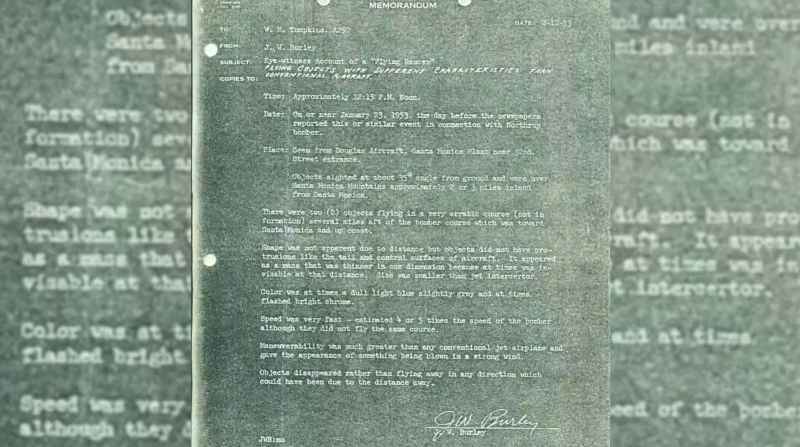 So when von Braun came out to Douglas to find out why he lost the contract for the IRBM’s and wanted to know who the hell did it and who’s the guy Tompkins . . . So when they brought . . . The Vice President of Engineering brought von Braun up to the second floor. I knew he was coming so I went running over to a drafting board on a stool. And so I pretended to be drawing, but everybody knew I wasn’t. And so he had to walk all through all of these 800 drafting boards to get over to Tompkins out in the middle here. And I did it on purpose. And because he continued to get feedbacks from different subcontractors when he’s down at his facility about that damn surfer from California, and he wanted to meet that surfer. And so the secretary brought that over and handed it to me while he’s there and wanted me to tell her how I should handle it. And it pretty well broke up engineering. Corey: Yeah, it’s not advisable in any situation. Ha, ha. David: Ha, ha, ha. All right. Well, that’s all the time we have for in this episode. I hope you’ve had fun seeing this all unfold. 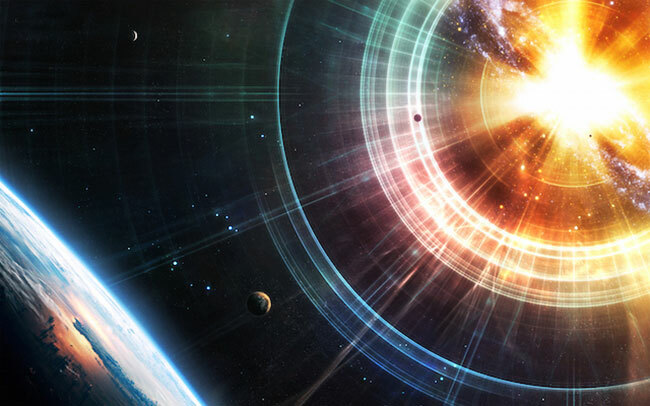 It’s really amazing to go back and look at the amount of confirmation that we’re getting on giant spheres, solar system lockdown, what’s really going on here with the agenda of the spheres, the solar sneeze, the Draco. A lot of stuff has been covered here. This is “Cosmic Disclosure”. I’m your host, David Wilcock, and I think you for watching.